Branched Chain Amino Acids are a great addition to any workout program that is focusing on building strength while maintaining lean body mass. Branched chain amino acids (BCAAs) are a group of essential amino acids, meaning your body doesn't make them, so they must be supplied by the diet. Strenuous resistance exercise can cause muscle damage and soreness and BCAAs have been shown to help promote lean mass and a support healthy weight. BCAAs have been shown to promote an increase in lean mass and reduction in body fat percentage when consumed in conjunction with a resistance training program. 1. Stoppani J, Scheett T, Pena J, Rudolph C, Charlebois D. Consuming a supplement containing branched-chain amino acids during a resistance-training program increases lean mass, muscle strength and fat loss. Journal of the International Society of Sports Nutrition. 2009;6(S1). doi:10.1186/1550-2783-6-s1-p1. 2. 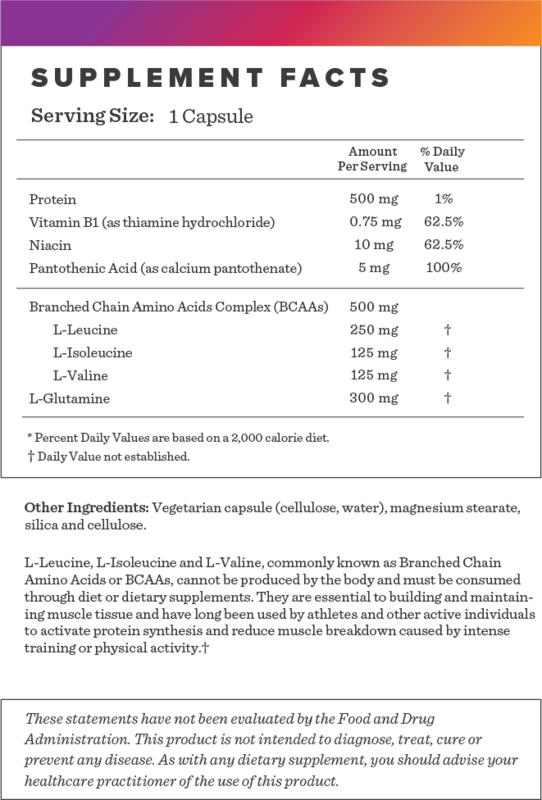 Blomstrand E. A role for branched-chain amino acids in reducing central fatigue. J Nutr. 2006;136(2):544S-547S. 3. Blomstrand E, Eliasson J, Karlsson HK, Köhnke R. Branched-chain amino acids activate key enzymes in protein synthesis after physical exercise. J Nutr. 2006;136(1 Suppl):269S-73S. 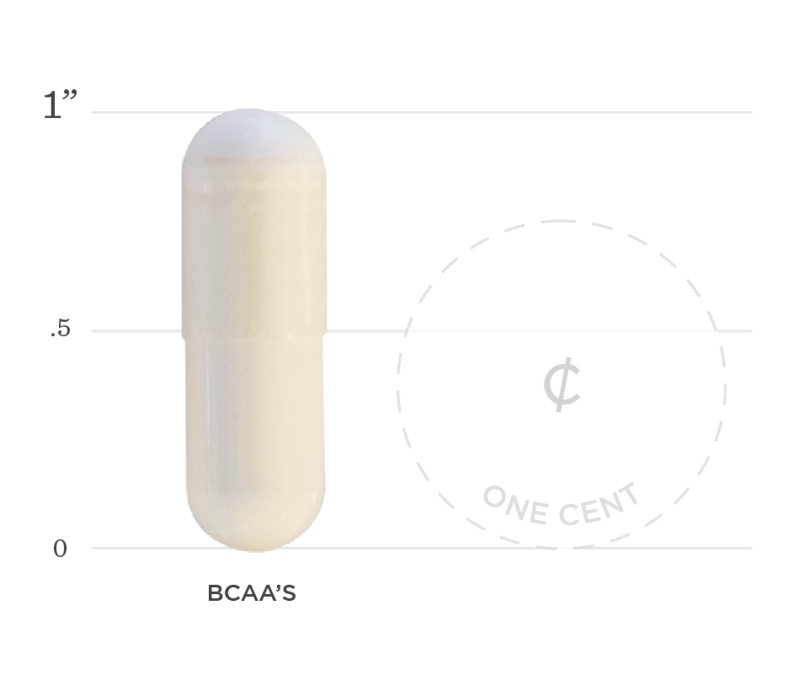 Below we've broken down the main functions of our BCAAs and the benefits it can provide. Research has shown that supplementation with branched chain amino acids, when combined with a resistance training program resulted in a greater decrease in percent body fat as well as an increase in lean mass. Branched chain amino acid supplementation can reduce tryptophan uptake and delay fatigue. Participants also recorded ratings of perceived exertion and mental fatigue reduction with supplementation. BCAAs, especially leucine, are shown to create anabolic effects on protein metabolism by improving the rate of protein synthesis and decreasing the rate of protein breakdown in human muscle.